The Aero Compute Board is priced at a hefty $399 and available on Intel's website. It's a complete drone board system in one unit, but you have to buy certain hardware, like rotor blades, separately. The PC market isn't as hot as it used to be, so Intel is getting into new businesses and providing hardware to build drones, robots, smart gadgets and wearables. The boards are for hobbyists, and could be used to develop and test products. Other drone kits in the market include the Qualcomm Snapdragon Flight, and Nvidia's Jetson TK1, which are both priced at $599. Parrot is planning a developer kit called S.L.A.M.dunk, but a shipment date isn't yet available. Otherwise, you can make robots with developer boards like Raspberry Pi. A unique feature that sets Intel's new boards apart is the RealSense 3D camera, which provides computer vision to drones and robots. The camera can identify objects, measure distances and avoid obstacles. It is key to helping drones and robots navigate. 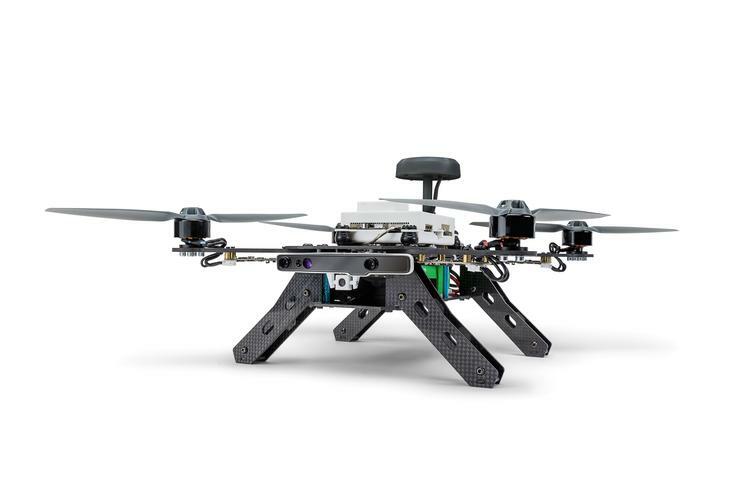 Intel also plans to release a "ready-to-fly" drone kit complete with the board, rotors, remote control and other hardware. The kit was announced at Intel Developer Forum in June, but isn't yet on sale. A shipment date isn't available yet.